We now offer a wider selection of Custom Mood Pencils with your personal imprint. Use these quality wood pencils as a popular advertising item that make great give-aways for special occasions. Our Mood Pencils are proudly made in the USA! 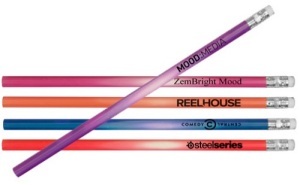 All Mood Pencils have #2 graphite lead and are not sharpened. If you need sharpened pencils, please contact us for additional price. 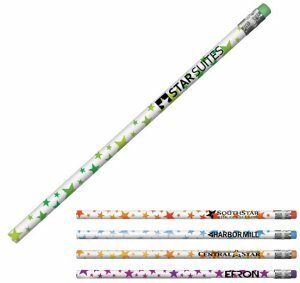 Sharpened pencils may cause lead dust in carton. 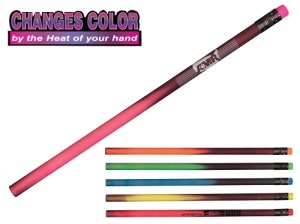 The heat of your hand changes the color of the pencil. Warning: Severe weather conditions may affect the mood change. An additional $20 non-refundable pencils artwork charge must be paid before work can begin. For logos and other artwork, add an additional $25. Your personal advertising message is imprinted on the side. Imprint area is 4-1/2″ wide x 3/4″ high (up to 5 lines of copy). Black imprint is recommended. Imprint area is 4-1/2″ wide x 3/4″ high (up to 5 lines of copy). White imprint is recommended. 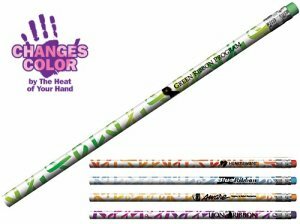 Mood Splash Pencil with colored erasers, Item #AR20552. Mood Paw Pencil with colored erasers, Item #AR20553. 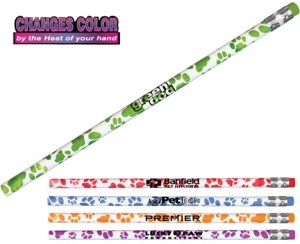 The heat of your hand changes the color of the paw print on this pencil. These quality wood pencils are a popular advertising item for pet rescue groups, pet stores and animal lovers in general. 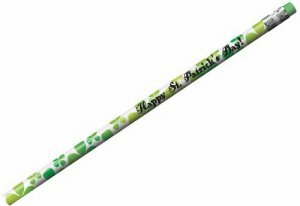 Mood Clover Pencil with colored erasers, Item #AR20556. 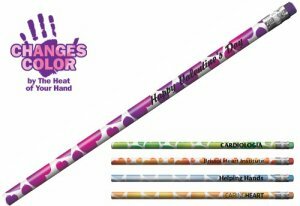 The heat of your hand changes the color of the clover print on this pencil. These quality wood pencils are a popular advertising item for gardeners, hardware stores, schools, event planners. Available in green to yellow only. Mood Ribbon Pencil with colored erasers, Item #AR20554. The heat of your hand changes the color of the ribbons on this pencil. 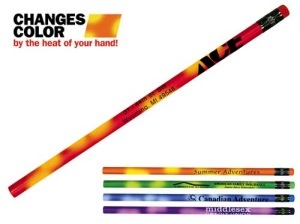 These quality wood pencils are a popular advertising item for cause marketing awareness.